In recent years, the role of vehicular networks has become increasingly important for the future of Intelligent Transportation Systems, as they are useful for providing safety, assistance to drivers, and traffic control management. Many vehicular network applications such as routing, mobility management, service discovery, and collision avoidance protocols would benefit from possessing vehicles’ prior location information to improve their performance. However, the rapid mobility of vehicles and the degree of error in positioning systems create a challenging problem regarding the accuracy and efficiency of any location prediction-based model for vehicular networks. Therefore, a number of location prediction techniques has been proposed in the literature. 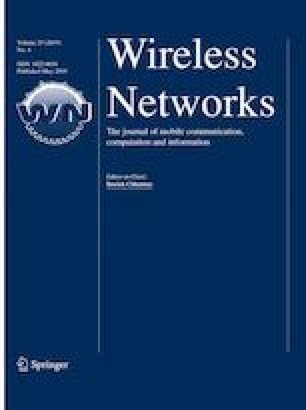 In this paper, we study and compare the accuracy and effectiveness of the following location-based movement prediction models: Kalman filter, Extended Kalman filter (EKF), Unscented Kalman filter (UKF), and Particle filter for vehicular networks. We compare the performances of these prediction techniques with respect to different mobility models, and provide some insights on their capabilities and limitations. Our results indicate that Particle filter outperforms all other predictors with respect to location error. In addition, EKF and UKF demonstrated an increase in efficiency of more than 50% when additional measurements input were integrated with the predictors. This work was partially supported by NSERC, NSERC CREATE-TRANSIT and Canada Research Chair Programs. Vehicular mobility trace of the city of Cologne, Germany. http://kolntrace.project.citi-lab.fr/.